Afforestation: Are we barking up the right tree? If you ask Shubendu Sharma (founder Afforestt) as to who can make a big difference when it comes to our planet, our city’s green cover and other environmental concerns, he gives an intriguing reply: Corporates! His point of view feels that strongly and he argues that corporates, specially the ones with factories and offices in large premises can actually do a lot. Now, Forest Survey of India’s 2013 reckoning shows that the forest cover of the country which is 21.23 per cent of geographical area or 69.79 million ha has increased by 5871 sq km over 2011. The 2013 assessment also notes that in 10 per cent of forest area no regeneration has been observed while 24 per cent shows inadequate regeneration. Plantation forests account for merely six per cent, when 73 per cent of forest area is affected by light to heavy grazing. Agro forestry related green cover comes to about 111,554 sq km and urban tree cover is around 12, 790 sq km or 16.40 per cent of urban area. Afforestation or the conversion of cultivated land into forest, for commercial purposes is no doubt a sapling that is growing like a vine in environment and CSR conversations these days. Apart from its use as a climate change mitigation strategy its impact on biodiversity is also claimed huge. Experts have often noted how this as ecosystems provides goods and services which are crucial to human survival, and helps with its role in the bio-geochemical processes that underlie the functioning of the Earth’s systems. In South Africa, for instance, as a solution to fast-disappearing timber resources, the afforestation industry has started as early as the 1870s. Many companies are now getting their ears alert for this new idea of voluntary or no-net bio diversity. More so, when company’s need a competitive edge and a sustainability-friendly brand image. In fact, Consultancy Africa Intelligence talks about Goal 7 of the UN Millennium Development Goals (MDGs), that entails to integrate the principles of sustainable development into country policies and programmes; for reversing the loss of environmental resources. Sharma’s venture Afforestt in India, is a stride towards some radical pastures or clumps or greenscapes, whatever you call them. He is confidently spreading the idea based on the optimism that these forests can be self-sustaining in a matter of 2-3 years, and that they keep growing and become equivalent to a 100 years old natural forest in just 10 years. Such native forests are also good in terms of scale, it seems. Smallest can be just 1,000 Sq Ft. No limits for largest. Sharma cites how his inspiration, Dr. Miyawaki is making a 300 KM long and 100 Meters wide forest strip in Japan right now. But questions, and apprehensions both real and imaginary, flank this concept. A look at ‘Obstacles and Opportunities for Afforestation and Reforestation Projects under the Clean Development Mechanism of the Kyoto Protocol’ by Franziska Haupt & Heiner von Lüpke shows that the inclusion of forest sinks in mitigation activities has been one of the most controversial issues in climate change negotiations. This is so as accounting for forest sinks was frequently viewed as a “loophole” policy to sidestep serious measures for emissions reduction. In fact, in many pockets of political and industrial dissent, carbon removals by forests are considered to be only temporary and the establishment of plantations is also feared to contribute to deforestation, loss of biodiversity and harmful impacts on local livelihoods. The enticement for corporates to afforest some area commercially is also diluted when compared to regular carbon credits, the market for temporary credits from forestry is perceived as limited. Haupt and Lupke also advised that compared to regular carbon credits, the market for temporary credits from forestry is limited. Now, let’s take a walk on the other major challenge. 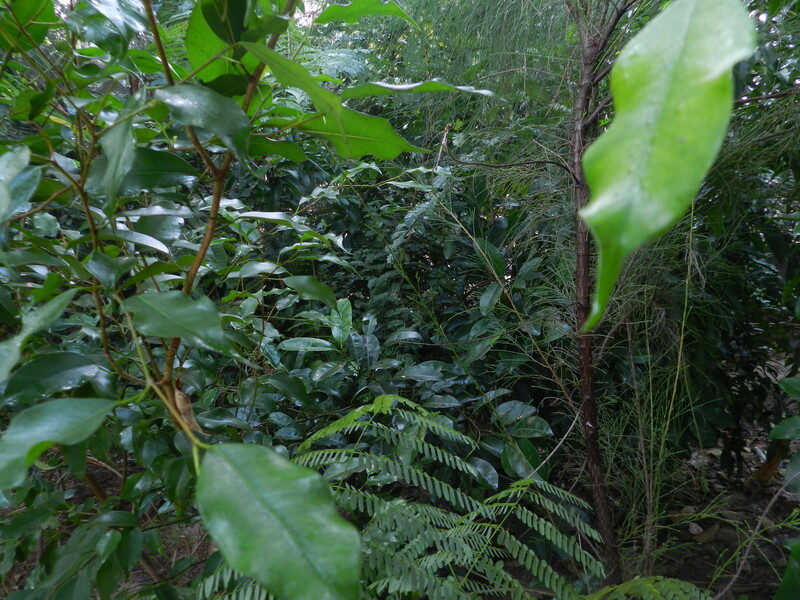 The argument about commercial afforestation using a lot of water supplies has often come up on issues and decisions around commercial forestry and water. As per a report by Van der Zel (1995) the conflict over decreases in runoff following afforestation first arose in South Africa in 1915, and it adds how a committee investigation in 1968 pointed that forestry be allowed to develop freely, except in areas where water resources were committed and development could be threatened until natural and economic checks became effective. The NISC article interestingly dissects the hydrological cycles for difference between liquid and vapor as well as green and blue water for implications on how trees use water vs. other land uses of water. It cites Falkenmark and explains how Blue water is the runoff originating from the partitioning of precipitation at the plant canopy and land surface (eventually reaching the streamwork and riverflows) and the partitioning of soil water. Green water is the result of water vapor represented by evapotranspiration or water to the atmosphere. It later talks about the interesting angle of how a famer plants, harvests and manages the crop has more impact than the crop itself. Here the type of region (arid, semi-arid etc), land catchment role and the possibility of green water comes in picture and so does the impact of type of plantations. Because plants or trees can use water either by interception or transpiration. What is worth noting again is that trees are often construed to be using more green water than crops and hence impacting the flow of water into river network. This brings to fore the oft-feared word SFRA (Streamflow Reduction Activity) which has become a huge concern, policy wise and industry-wise. This is how the concept of ‘rain tax’ has emerged in the industry and so have connotations like permits or control system for commercial afforestation. Yet Graham Jewitt, School of Bioresources Engineering and Environmental Hydrology, University of Natal objectively concluded that everything needs a frank and objective view while keeping in mind possibilities of oversimplification of hydrological cycle, misunderstanding over terminology or processes, political issues and policy errors and this is why he cautions against unsustainable gains or short-term decisions. Forests, specially artificial ones do have the challenge for answering about their use of green vs blue water, their ripples on water cycle and overall hydrological story. This is where ramifications around a variety of taxes and permissions for the industry come up too. We can’t rule out that biodiversity conservation often means tree plantation drives for most Indian companies, and their adequacy or lack of it, should be looked at. As Sharma contends, that’s not sufficient. And while we do that, there are other apprehensions that crawl or let’s rather say, fly about. In ‘The impact of commercial afforestation on bird populations in Mpumalanga Province, South Africa — Insights from bird-atlas data’ ; David G. Allan and others argue that commercial afforestation should be looked in context to bird extinction also. His assessment entailed twenty-five of these species of conservation concern and 10 that were globally threatened, with a separate suite of 65 species associated with woodlands or forests that occurs in the province and benefits from afforestation or at least the spread of alien trees. The areas of highest species diversity of grassland birds overlapped extensively with the areas of greatest afforestation and potential additional afforestation. It was noted and highlighted how the species diversity of grassland birds generally, and globally threatened grassland birds in particular, was significantly and negatively correlated with the extent of afforestation. Afforestation seemed to have a negative impact on grassland bird diversity even when the percentage area under plantation was relatively small. A comparison of the avifaunas negatively and positively impacted by afforestation revealed that the grassland community has more species and is richer in both endemics and threatened species than the plantation community. He hinted that any further afforestation in Mpumalanga Province would be contributing substantially to the potential extinction of many bird species there, including several globally threatened species. Sharma seems to have the roots and off-shoots well sorted out for a starting. He is sure that the trees he has envisioned would not only be cost-friendly but even profitable. As to other limitations of urban forests, with the use of species native to the land, even as customer’s choice gets constrained, the venture will plant what’s best to the ecology of the place and benefit people too. His aim is simple and daunting at the same time – to bring up the forest cover of India and he is spreading his footprints not just In India but in Middle East and Oman too. A well-planted dream at least, isn’t it?